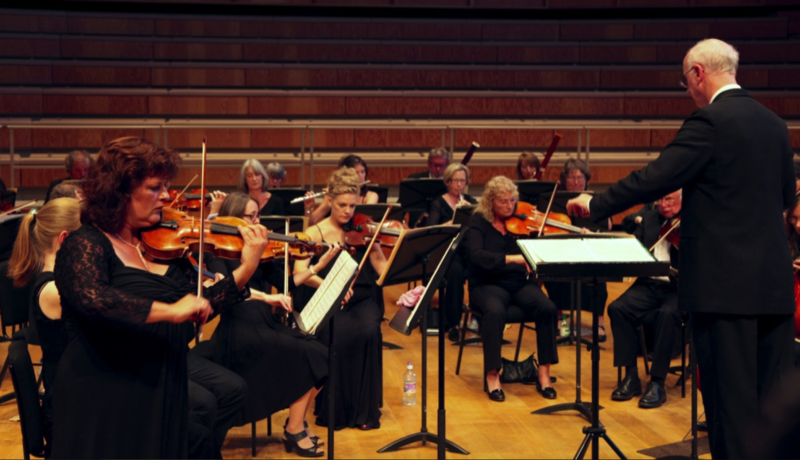 This concert by the Canterbury Orchestra opened with Mozart’s overture to his opera Così fan tutte. Though perhaps not as fleet of foot in the frenetic main section as one might have wished, the whimsical spirit of the opera was reflected well with some nice touches by the woodwind and sensitive playing from the brass and timpani. The highlight of the evening was undoubtedly the performance of the Bruch Violin Concerto No.1. The soloist, Robin Wilson, captured the audience from the very beginning with his sensitive playing of the opening cadenza-like passage. The ensuing first movement was played with a judicious blend of full-blooded passion and sweet lyricism by the solo violin, with deft accompanying by the orchestra, creating a fine ensemble balance. The emotional kernel of the work, the slow adagio movement, was shaped well by both soloist and orchestra, with impressive orchestral climaxes. The final movement could have been a little more light-footed, but overall it succeeded in communicating the essence of the gypsy folk-dance. The soloist displayed throughout this performance a sure command of the technical and emotional demands of the work. Both soloist and orchestra fully deserved the enthusiastic applause of the audience. Brahms’s Serenade No.1 presents a more relaxed ambience than one might expect from this composer. The conductor, Andrew Lowen, projected well the mixture of youthful exuberance combined with more than a hint of symphonic rigour in the opening movement. The darker Nordic tones of the second (scherzo) and third (slow) movements were managed well by the orchestra, in particular by the horns and clarinets. The attention of the listener was somewhat lost during the elegiac third movement (perhaps the fault of the relatively inexperienced Brahms rather than of the orchestra), but was fully regained in the penultimate and final movements, characterised by spirited rhythmic playing, especially by the strings, bringing the concert to an exciting conclusion.